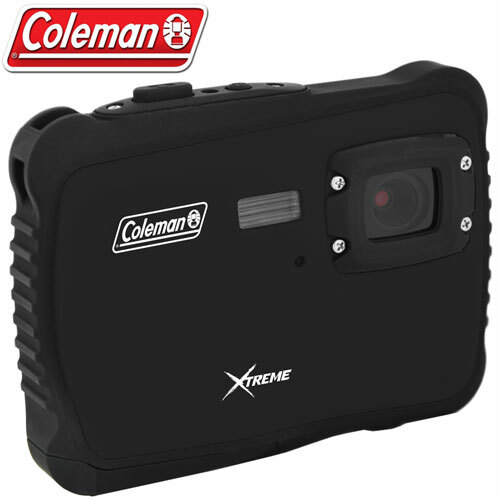 The tough, rugged Coleman's Xtreme C6WP HD digital camera is waterproof to 10' and rubber lined for a protective, secure grip against moisture and dust! Freeze-Proof to 14°F (-10°C), shock resistant and drop-proof to 3.2', it's perfect for any environment! With 12MP resolution, 6 scene modes, and a 1.8" LCD screen, you can take great pictures and record HD videos with clear resolution no matter the environment. Operates using 2 AAA batteries and SDHC card expandable up to 16GB. The Coleman Xtreme will provide hours of fun! Color: Black.